Call Us Now for Electrical Contractors! 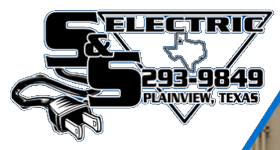 At S&S Electric, we understand the importance of an electrical system in your business for a smooth function. Our licensed electricians perform commercial electrical services and installation including wiring, office power, lighting, indoor/outdoor maintenance and more. We also undertake electrical projects for residential, retail, agricultural and oil fields. We are proud to serve Plainview, Silverton, Edmonson, Olton and the surrounding area. For further information regarding our services, contact us at (806) 429-0932. Copyright © 2018 sselectricplainview.net All rights reserved.